No. 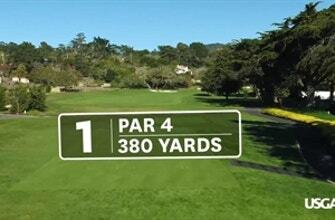 1 at Pebble Beach is a dogleg-right par 4 with two bunkers along the left side of the fairway. The green is tightly guarded on the left and right.